Oh, this is LOVELY and I'm so glad you used Delft. 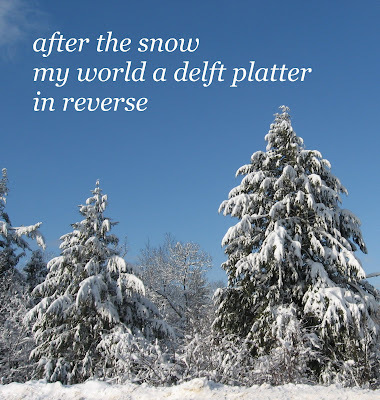 I play with haiku a lot; maybe haiga is in my future? Fantastic! Both your words and picture are so clean and spare. It's a perfect marriage. I love it! You go girl!! Haiga is going to rock your world! I love it! I've heard that it's okay to break the rules once you know the rules. Oh, WOW! I love the way your poetry and photo work together! Thank you everyone! I guess there are more haiga in my future. Come back soon.